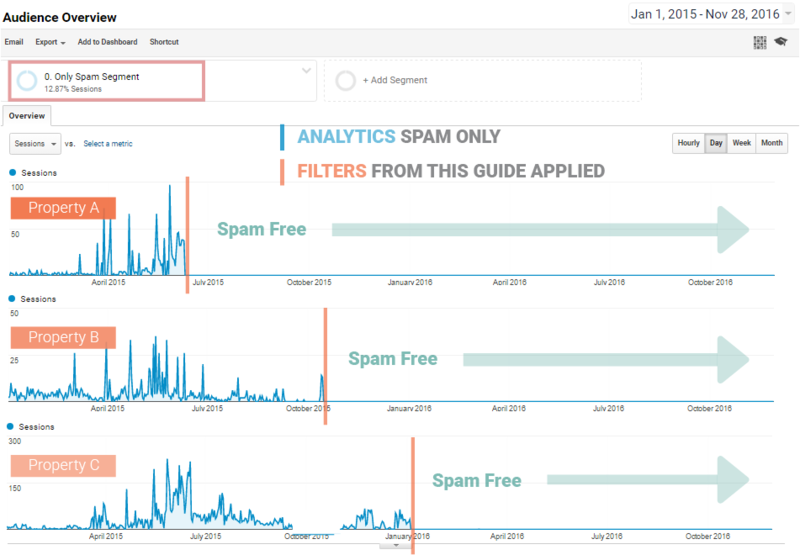 Filtering Google Analytics spam, bots, and other junk traffic: A comprehensive solution! Google Analytics is probably one of the most important elements of the decision-making process of your website The success or failure of your efforts (SEO, ad campaigns, social media, content marketing, etc.) can be easily determined by the accuracy and value of your GA reports. If you don't take the appropriate measures, unwanted data such as bots, spam, and internal traffic will decrease the accuracy of your reports and lead to poor decisions. The good news is that GA has a powerful filter functionality, that if used well will help prevent all that junk traffic. The bad news is that in my experience most sites don't use it properly. 99% of the sites I audit either don't use filters at all or they do but not correctly, which makes the problem even worse. And also important, how to do it safely so you don't risk your real user data. Which type of spam and bots does this guide cover? Does this work in WordPress, Joomla, Shopify, Wix, Weebly, Squarespace...? Yes. The solutions below are purely based in GA filters, so it will work independently of the platform (CMS) you use. How often do you check for new threats and update the expressions? 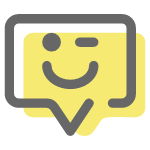 I'm constantly monitoring for bots and new spam (3-5 times a week) and the expressions are updated as soon as new significant threats are detected, so you can check them frequently or even better you can get notified when new expressions are out. See the historical spam blacklist blocked by these filters. Want to get notified of important updates, new threats, and new ways of keeping your Analytics data accurate? Let's go quickly through a list of things you should consider when filtering in GA.
Wrong: Never use the referral exclusion list for spam; that list has a completely different purpose. Wrong: Don't worry about the spam harming your SEO, GA data is not used for rankings in search results. Wrong: Server-side solutions like WordPress plugins or the .htaccess won't have any effect on Ghosts spam because it never passes through your server. Good: Comprehensive solution. A hostname filter that will take care of most of the spam, and a set of filters with optimized expressions to block sneaky referrer spam and bots. 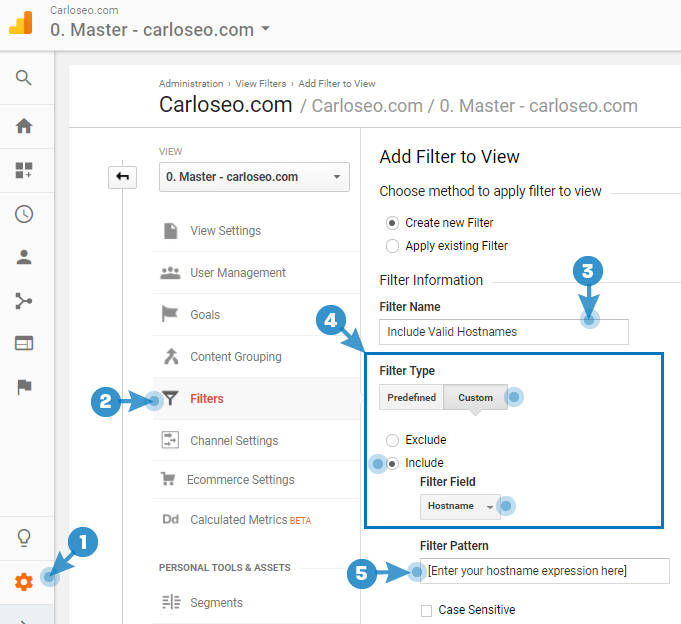 Before creating any filter in GA you have to make sure you have at least 2 views, one were you will apply the filters and a second one that you will leave unfiltered, this will work as a backup and to check the progress of your filters. 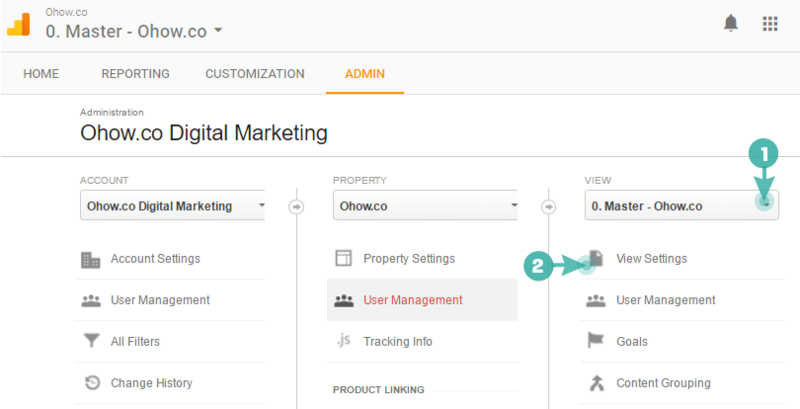 If you need help creating these views, here you can find the best practices for views in Google Analytics. Once your views are correctly configured, is time to stop all of that dirty traffic that skews your reports and don't let you see the real performance of your site. 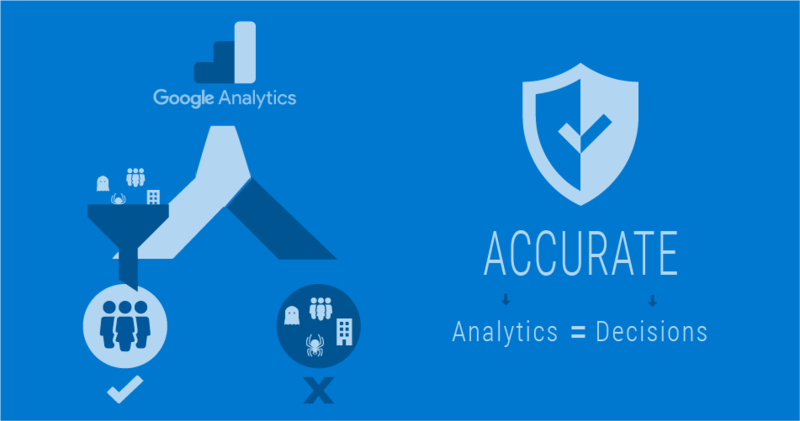 There is no one all mighty solution that will stop all junk traffic at once, so if you want to have accurate Analytics you will have to work for it. The filters I'm going to show you have been proven to work for over 4 years regardless of the methods used by spammers and the types of bots. The screenshots are from 2016 but the results for your analytics will be the same to this date. Don't have the time? Want me to fix this for you? 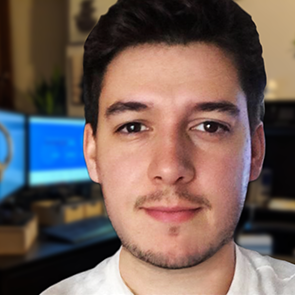 I can review your analytics and apply all the necessary measures to ensure you are receiving the most accurate data possible. While most of the time filters start working within minutes, officially it may take up to 24 hours before the filter effects become visible in your data, so be patient. You will apply the filters either in the master view, the view(s) to be used for analysis, or the test view if you want to try them first. Filters only work forward, for historical data you will use the segment. The valid hostname filter is the single most effective solution against the spam. This filter will permanently stop all ghost spam with fake hostnames no matter how it comes or what name it uses. The Source is where your visit comes from and there can be any number of them, for example, Facebook, Google, Twitter, Youtube, links from other sites to your site, etc. The hostname, on the other hand, is the site where the visitor arrives. Your main hostname will be your domain and, and depending on the configuration of your site, there may be others. Make a list of all the valid ones you find. You should see at list one valid, which is your main domain, the rest will depend on the configuration of your site. yourdomain|hostname2|hostname3 and so on. Make sure you add all of them. To make sure you don't miss anything test your filter expressions with an in-table filter. If you need extra help finding your valid hostnames and building your expression check this guide or let me know and I can personally help you. Create the filter: Once you are sure the expression is correct, create the filter as follows. "This filter would not have changed your data. Either the filter configuration is incorrect, or the set of sampled data is too small"
But don't worry, if you followed the instructions in the previous step (Build your expression) you already tested your filter, if for some reason you missed it, here it's again how to verify a filter with an in-table filter. Once you make sure your filter is ok, Save the filter. IMPORTANT: This filter doesn't require updates for new ghost spam, but it's essential to update the expression whenever you add the tracking ID (UA-00000-1) to a new service or domain. Crawler spam uses a valid hostname so it is a bit harder to detect. To block it you'll need a filter with an expression that matches the source of all known crawler spam. To save you some time, I've created a set of optimized regular expressions (REGEX) with all the relevant crawler spam detected over the last years, you'll find them below in the instructions. Again go to the admin section of your GA. Enter as a name for the filter "Exclude Crawler Spam"
Filter Pattern > Paste the following crawler referrer spam expression. These expressions were re-built to optimize the number of filters. If you created your filter before November 23, 2018, replace all the old expressions and remove any extra filter. Get free notifications with the updated expressions whenever I detect new crawlers. After everything is set Save. Note: You may find other referrals that may not be spam, but neither relevant for you. For example, mobile test sites or cache sites. You can create a similar filter with the same configuration and add all the irrelevant referrals there to keep your data pristine and reliable. 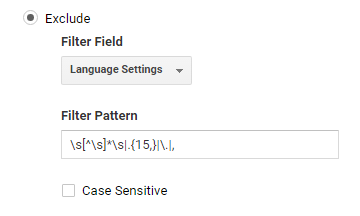 From time to time you may see weird languages showing in your analytics. I prepared an expression that will prevent any language that doesn't have a proper format like es-ES, en-US, fr-FR, etc. I also added to the expression the "Language c" which seems to be left by bots. Not all irrelevant traffic comes from spammers, some companies use bots to crawl sites for different purposes (indexing, analytics, etc.). Those bots may not have bad purposes but they still inflate your reports. facebook ireland ltd google llc google inc.
microsoft corporation hubspot evercompliant ltd. I extensively test the expressions below across dozens of GA properties to avoid interference with real user data. However, in very few cases the expressions could match some real user data. For example, the expression below blocks the ISP "Google llc" and "Microsoft corp", which are ISP used in these companies offices. In most cases the visits with those ISPs come from bots, however, they can also be used by employees, so if your site sells a product to those companies, just remove them from the expression. If you are not sure you can test the expressions before applying them to your GA. This filter is similar to the previous one but this time we will target the ISP domain or network. 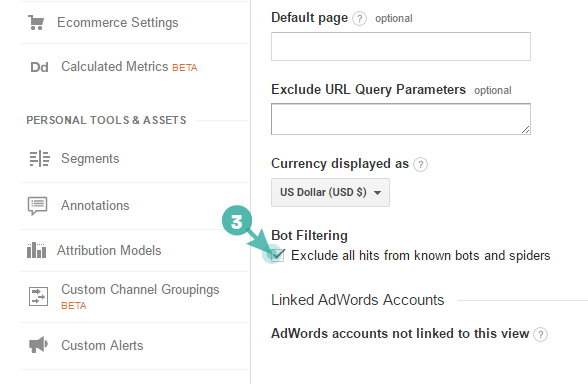 f. Extra: Enabling "Exclude all hits from known bots and spiders"
This is a pre-built filter that will take care of known bots from the IAB bots and spiders list, it is not perfect but it helps. In this case, is a bit easier than custom filters because you just need to check a box. Clean spam from past data: The filters above will prevent future hits, here you can find instructions to clean spam from your historical data. Exclude internal traffic: This type of junk traffic is often overlooked. If you don't apply filters for the traffic generated by you or other people of your team, this data will get mixed up with your real visits data, and a difference with the spam, this is much harder to identify later. 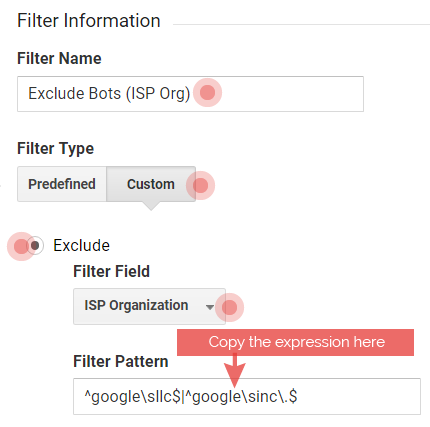 Guide to filter internal traffic dynamically. Does the spam harm my SEO-Rankings? How does it get in your reports? Here you can find the most comprehensive spam blacklist. "Even on high volume websites were data spamming would be marginal, you still have to explain why there's such a discrepancy. As an analyst you can't dismiss it simply by saying "nah... we're not too sure what it is..."
However, you have to do it right. Handling each spammer individually is time-consuming and inefficient. 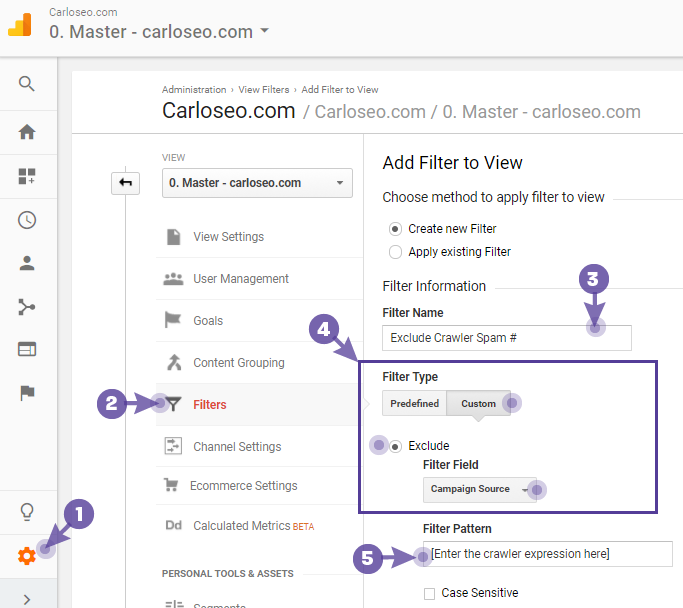 The Google Analytics spam filters explained in this guide may take a bit longer to configure but they will save you a lot of time in the long run. I will be updating this guide as new threats appear so you can keep it as a reference.